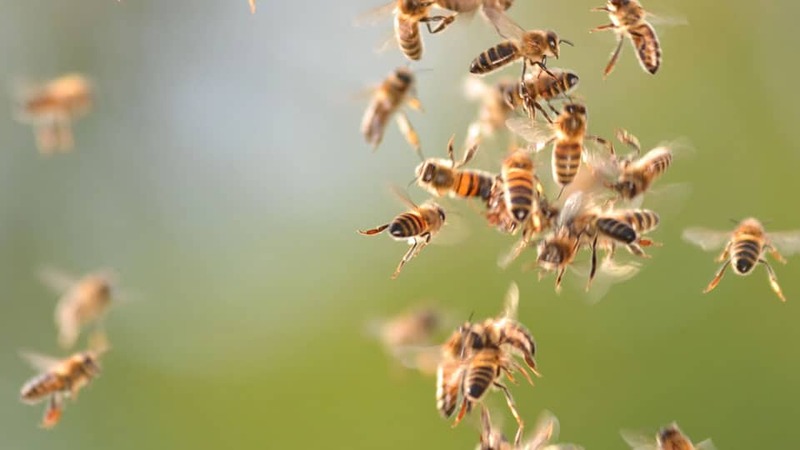 Periyapatna/ Chamarajanagar: One person died and 20 persons were seriously injured, when a swarm of bees attacked them in separate incidents in Periyapatna and Chamarajanagar. The person who died in the bee attack is Lakkegowda (76). Lakkegowda was working in his field when bees attacked him near NDG Koppal, in Bettadapura, Periyapatna taluk, yesterday resulting in his death. In another incident, over 20 persons suffered injuries when bees attacked them while they were performing the last rites of their dear one at Dollipura village in Chamarajanagar yesterday. One Rathnamma of the village had passed away and the relatives of the deceased and villagers had brought the body of Rathnamma to perform her last rites at her farm land. As they were performing puja to the body, a swarm of bees attacked them all of a sudden resulting in the people abandoning the body and running helter-skelter to save themselves from bee stings. But the bees had stung over 20 people and the injured were treated at Chamarajanagar District Hospital, where the condition of one person is said to be critical, it is learnt. The relatives of the deceased, who waited for some time till the bees flew away, later performed the last rites of Rathnamma.